Thread: Antler as knife handle? 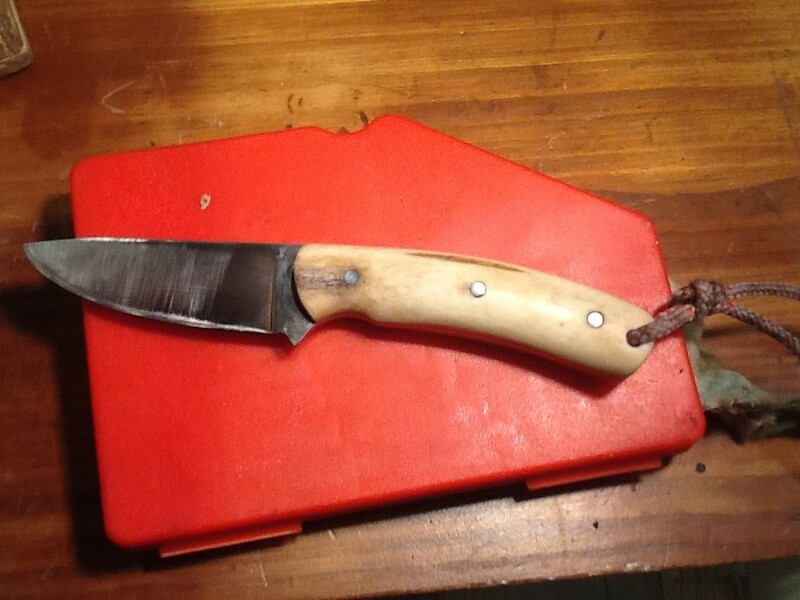 Anyone here done it?have a Svord knife but not keen on the smooth wood handle once it gets a bit of blood on it gets real slippery ,have an old cast antler in the shed ,any tips or advice welcome. Mine is smooth but dosen't seem to get slippery. Is that antler or wood? I have done it on a couple of knives I made, antler is bloody tough stuff and stinks something aweful when you sand it! You also need to keep it oiled after or it dry out and crack. Micarta is another option that works in the wet, or G10. Save the sanding dust and snort it, viagra effects! Well if your Asian? you need a bit of antler that is nearly the right finished handle size already because the middle pith of the antler is too soft and you dont want to expose it. I use one of those thin angle grinder cut off disks to cut it ,then sand it. The dust is very bad for you so wear a mask. sambur antler is the best because it has a lot thicker outer layer than other types of antler.